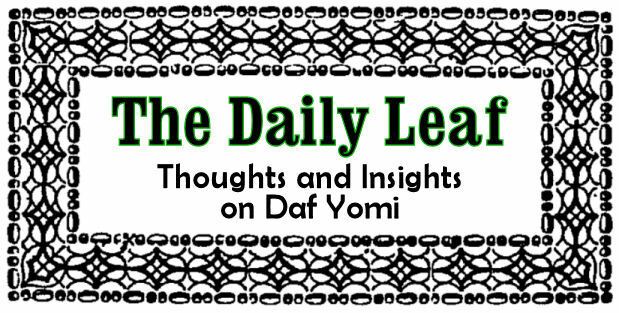 The Daily Leaf: :ז New face(s)? There is an anonymous opinion mentioned in the שיטה מקובצת that since פנים חדשות is in plural, we require two new individuals in order to make all of the ברכות. Shockingly, this opinion is invalidated based on the explanation that the pluralization of פנים חדשות is applied to all of the days of שבע ברכות and doesn't imply a plural number of faces on one given night. So what's so shocking about that? What's shocking is that the word פנים is always plural. There is no singular. I recall this question being posed of one of the rebbeim in נר ישראל some 15 odd years ago. Quite an intriguing answer was given. The reason (source unknown) why פנים is plural is because a face is capable of expressing many various different feelings and emotions. While most of your body parts look exactly the same no matter the situation, the face is multi-faceted. During the week of שבע ברכות, however, it is demanded of us to restrict our expressions to only one emotion - that of sheer joy and happiness with the new union. Since the face is not expected to be multi-faceted during this week, it is conceivable to suggest that the pluralization of פנים might imply more than one individual. :ח Opening one's mouth to Satan?